Limmie Nathaniel Forbes was born on October 24, 1936, in Wayne County, North Carolina. He is the fourth of ten children born to the late Will Scott Forbes, Sr. and Sally Melvin Forbes. He received his educational training at Eureka Elementary School, Pikesville Training School, and Hampton University. As a young child, it was evident that God's hand was upon his life. At the age of nine, he accepted the divine call to become a Christian. The Leventon Chapel, Original Free Will Baptist Church is where he received his biblical and spiritual guidance and understanding. Pastor Forbes is still a member in good standing with Leventon Chapel. Pastor Forbes sought the Lord diligently regarding God's will for his life. After receiving the call to the ministry, he preached his initial sermon in May 1959, using as the subject "You Need It and You Must Have It." While seeking further instruction from God, he learned that the mantle of pastor had been assigned to him. In 1959, Pastor Forbes established Faith Temple No. 1 in East Orange, NJ; and in 1962, Faith Temple No. 2, now in Capitol Heights, MD. In 1978, he also established Faith Temple No. 3 in St. Paul, North Carolina. Again, being obedient to the Holy Spirit, in 2005 he established Faith Temple No. 1 and 2 Extension Church, located in Wilson, North Carolina; with early morning worship services held on fourth Sundays monthly. In 1968, Pastor Forbes was installed as the Presiding Bishop of the Original Free Will Baptist Conference, Middle Eastern District. Bishop Forbes spearheaded the construction of the conference headquarters, The L. N. Forbes Tabernacle. Located in Wilson, North Carolina, this building was dedicated in 1975. Bishop Forbes is active in the religious community and serves God's people in many commissions. He serves as the General Bishop of the Free Will Baptist General Conference which oversees four conference bodies. He has also served as the Vice President of the National Convention of Free Will Baptists of the USA; President of the East Orange Clergy Movement; (former) President of the prestigious Hampton University Ministers' Conference; and is a member of the Clergy United. 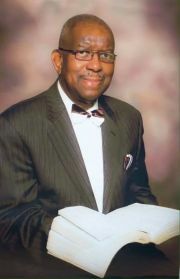 Bishop Forbes is nationally and internationally known and recognized. He is a recipient of three Honorary Doctorate Degrees: Honorary Doctorate of Divinity, Atlantic Christian College, Wilson, NC; Honorary Doctorate of Divinity, New York Bible Institute; and Honorary Doctorate of Humane Letters in Education, United Christian College, Goldsboro, NC. He is also the author of the book entitled, "The High Cost of Leadership", published by the M. L. King Fellows Press. He was asked to write this book as a person with a "voice of experience." In 1998 Bishop Forbes was recognized and honored as "Who's Who" among the many renowned leading ministers within the USA. In November 1988, Bishop Forbes was joined in holy matrimony to the late Sister J. Ramona Artis-Forbes. First Lady Ramona began her eternal journey to be with the Lord in December 1996.